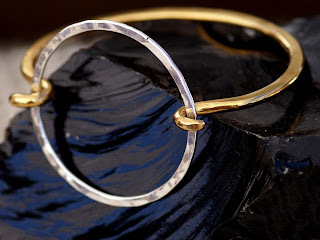 Art Jewelry in Simple Striking Forms from only the Best Materials. 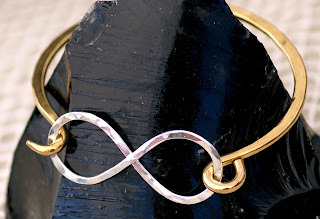 Symbols in Silver & Gold, Hand Shaped with Vision, Skill & Care. Do you believe in the value of symbolism? Consider a few of the simple, yet beautiful shapes that have come to carry great meaning across the world's cultures, and for that reason I'd argue that symbols are very powerful. I am pretty sure Emily of Clementine & Co would agree! 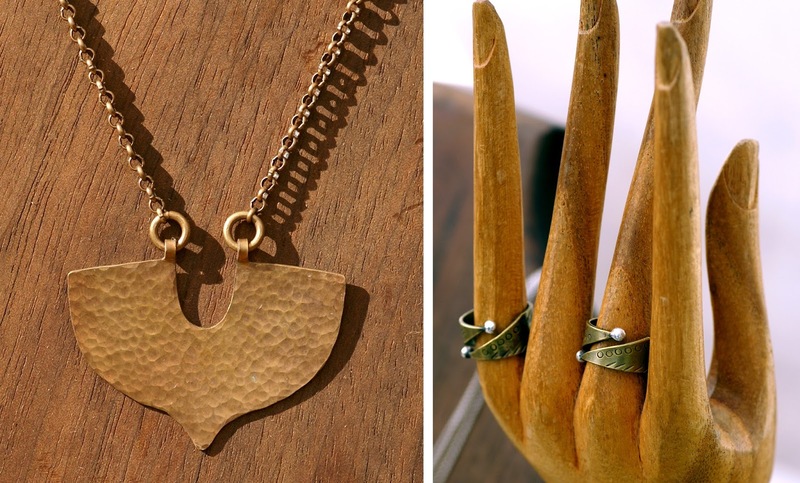 Her stunning jewelry work is focused on these iconic shapes, turning simple, high quality materials into striking forms with a wealth of meaning! 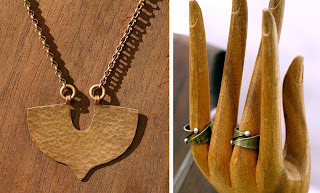 Emily prefers working at a small scale, taking care with each piece as she applies her metalsmithing skills. I love her passion for the opportunities with metal and the ways you can manipulate it. That is the guiding light of many true artists! Beyond the possibilities inherent in her material choices, Emily is inspired by the wonders of nature all around, especially those from her childhood. The pieces from her collection that stand out the most to me are those influenced by symbolism and spirituality. She first created these believing in the power that icons can have for the wearer. 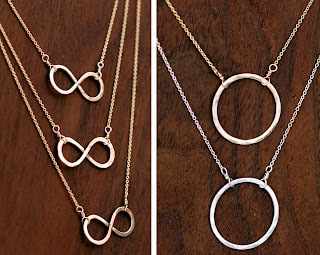 For example, one of her main lines of jewelry focus on the infinity symbol. What's great about these is how the shared meaning is also uniquely interpreted by each person to be individually impactful! Emily's continually evolving body of work also includes earrings and necklaces inspired by geometry or art of older times. Again, drawing on a strong foundation of iconic symbols. 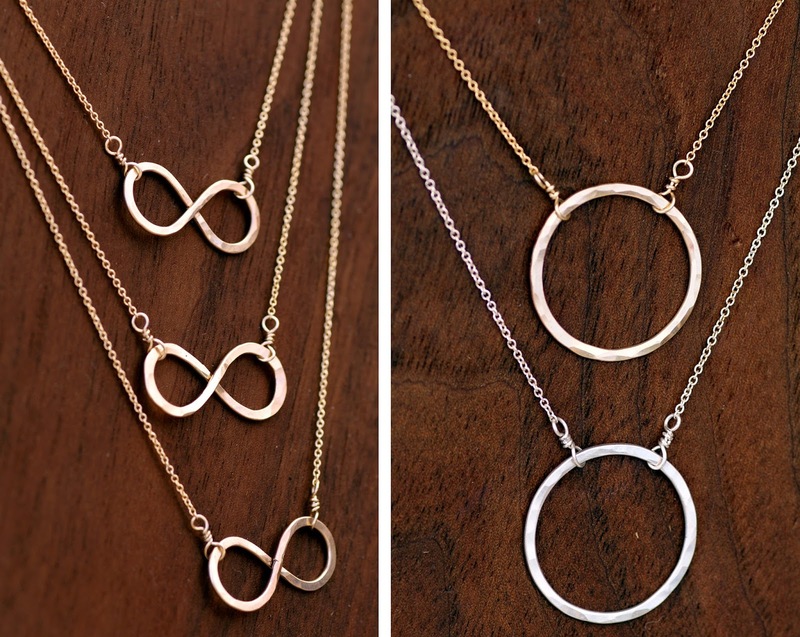 It's not hard to find a piece by Clementine & Co that's perfect for you and the statement you want to share with the world!